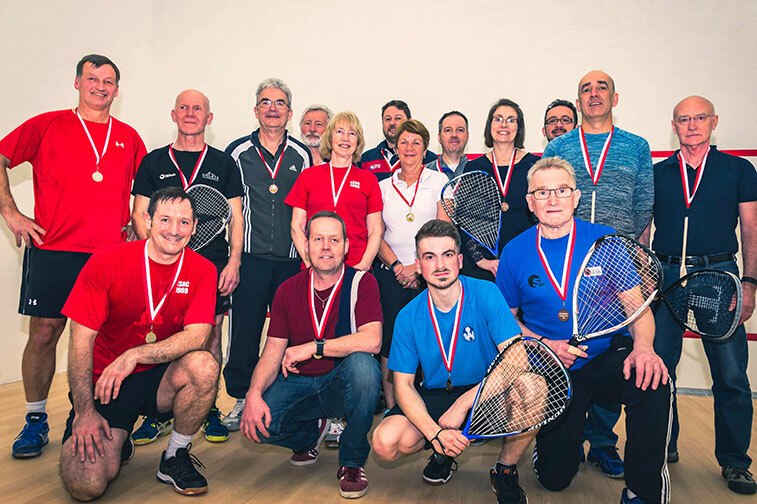 Les Bywater (front-row, far right) along with other participants from the Charity Racketball Tournament, which was hosted at Lilleshall Squash and Racketball Club. Photo Courtesy of Mat Growcott. 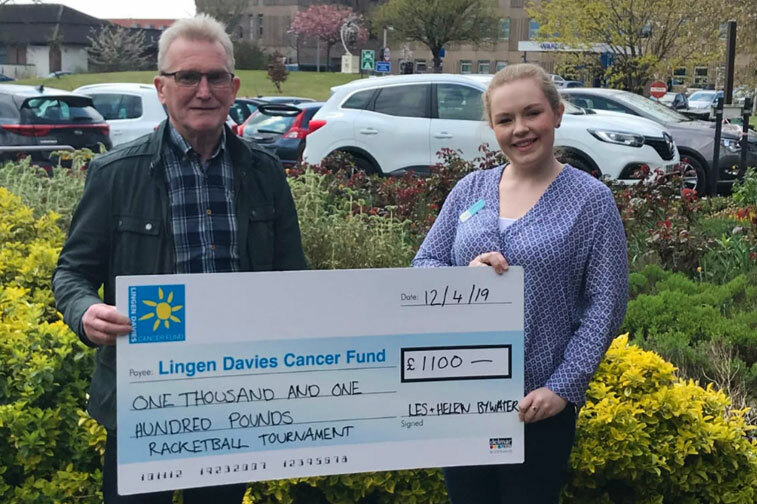 Lilleshall Squash and Racketball Club hosted an enormously successful Charity Racketball Tournament on Saturday 6 April 2019, raising over £800 for The Lingen Davies Cancer Unit, based at the Royal Shrewsbury Hospital. The tournament, which was initiated by Les Bywater, an LSRC Club Member, who recently underwent treatment himself at the Lingen Davies unit and has since gone into remission, was extremely well attended by club members and their friends, families and work colleagues. A friendly atmosphere welcomed the players and spectators and this was followed by a good spirited and competitive tournament. Many thanks to those who contributed to the refreshments and snacks, the generous donations of raffle prizes and the purchase of raffle tickets. Les, who was supported on the day by his wife Helen and son Luke, should be very proud of their family’s initiative to raise money for the Prostate Cancer unit over in Shrewsbury and when the money was counted up on the day – we collectively raised over £800, with the total continuing to rise, following the conclusion of the tournament, by £300, to reach a grand total of £1,100. Les Bywater presents the Lingen Davies unit with a cheque worth £1,100, outside the hospital in Shrewsbury. 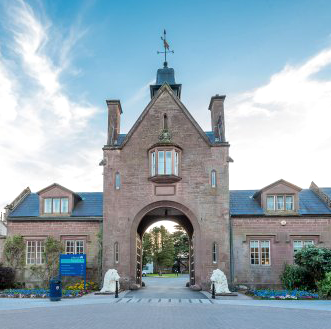 The tournament, which was organised with support from Club Vice-Chairman Andy Reed, was held at Lilleshall National Sports Centre, near Newport, Telford. The tournament featured 20 players, who performed in four teams of five. The Gold medals went to Team McClelland, Silver to Team Redstone and Bronze to Team Bywater, with Team Westwood receiving the Wooden Spoons. A huge thank you must go to Pete Williams, who very generously supplied the medals and was on-hand to present them to the tournament participants. The tournament concluded with a lovely departing message from Les, along with the medal ceremony and raffle draw. A spokeswoman for Lingen Davies said: “Well done to Les and Helen Bywater for organising a charity racketball tournament at their local squash club in Lilleshall. They raised a fantastic £1,100 from participant contributions and a raffle, with some very generous prizes.